The hazards of dealing with lead paint on the exterior of older homes are an ongoing dilemma. It is not safe to have it around, yet improper handling and removal carries its own dangers. According to the U.S. Department of Health in Minnesota, approximately 75 percent of homes that pre-date 1978 contain at least some amount of lead-based paint. The older the home, the more likely it is to have an exterior, lead-based paint finish. Planning and safe handling of the lead paint during and after removal is of the utmost importance. Peeling and cracking lead-based paint. Contact all neighbors to let them know that there will lead paint removal happening so that they are able to prepare and protect their home from lead dust. Cover all plants, sheds or playground equipment with plastic drop cloths. Weight them down with bricks or cinder blocks. Turn off all appliances, plus the water heater and air conditioner before beginning paint removal. Block the vents, windows and doors to keep lead dust from going into the home. Plastic-off any attic or roof vents. Wrap the foundation in plastic to prevent contamination. Use duct tape to hold the plastic in place. Lay plastic drop cloths on the ground to catch lead paint dust and scrapings. Put on a hepa filter respirator mask to avoid self contamination. They are available at most paint outlets. Safety glasses are also necessary for this project. Spray water on the area you are working on with a spray bottle. 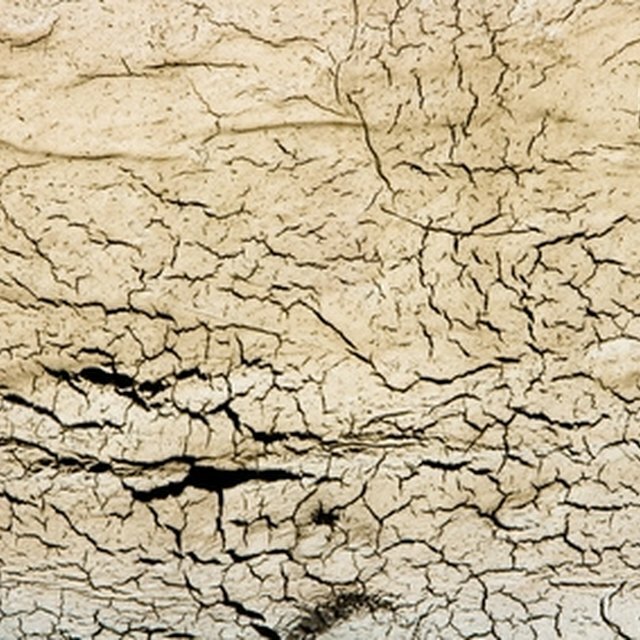 The moisture will help loosen old, cracked, lead-based paint. It will also help control the release of lead-filled dust. Remove the paint by using a paint scraper on the area you have soaked with water. Allow the chunks to fall down onto the drop cloth. Reapply water as needed to keep the surface moist. Lightly sand the surface using a hand-held sanding block. Wipe the surface of the sanded areas with a mixture of ¼-cup washing soda (sodium bicarbonate) per gallon of water. Most grocery stores carry washing soda in the laundry products isle. This will remove the lead dust created while sanding the surface. Roll up the plastic drop cloths around the home and seal them in a plastic garbage bag for disposal. Replace the drop cloths every day if the project extends into more than one day. Contact the local waste disposal service to find out the preferred disposal method in your area. Lead poisoning is deadly. If you experience any signs of illness, go to the emergency room and inform them that you have been working with lead-based paint.